WOMAN AND LABOR was written by Olive Schreiner. WOMAN AND LABOR was published by Frederick A. Stokes Company. 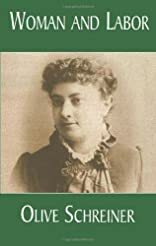 About Olive Schreiner (Author) : Olive Schreiner is a published author. Some of the published credits of Olive Schreiner include Woman and Labor.